Q. 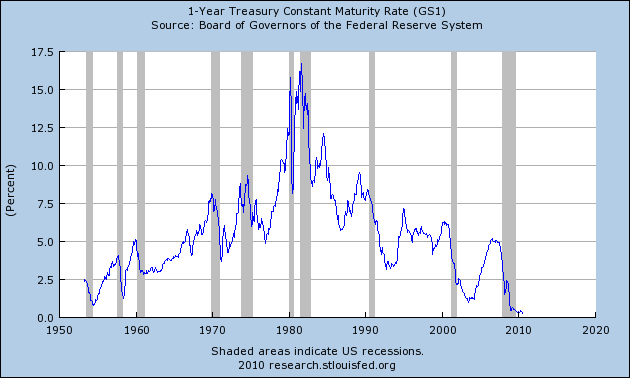 Where can I find interest rates (yields) on 1 Year Treasury Securities begiining in the 1950s? 22,000+ U.S. economic time series on banking, consumer prices, employment, exchange rates, GDP, interest rates, population, producer prices, trade, foreign investment and more. Download data into Excel and text formats. View charts of data series.